Hormonal fluctuations like the magnitude of those that take place during menopause, can wreak havoc with your emotional and physical state and disrupt sleep enough that they can produce insomnia symptoms. Because menopause occurs over a period of years, usually, insomnia symptoms can go from transient and temporary, to chronic and severe. 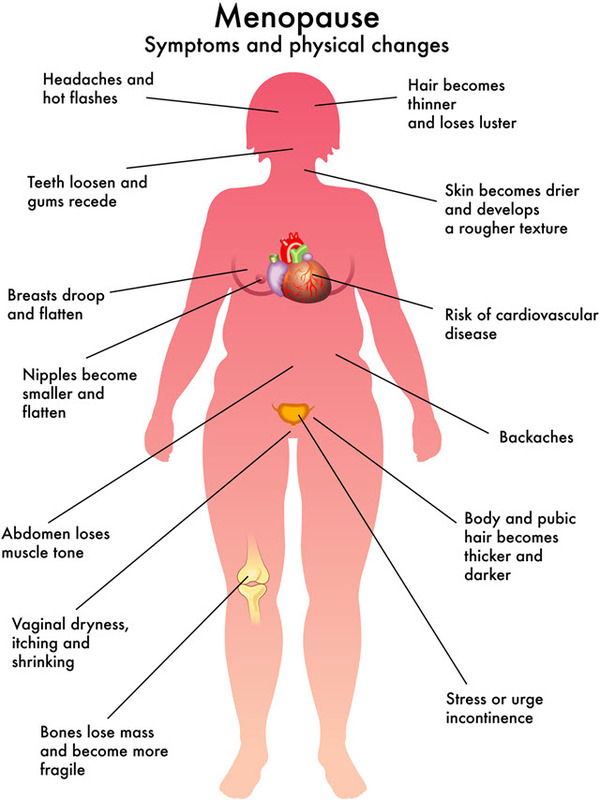 The most marked hormone alterations occur during menopause, the period of time in a woman’s life that includes peri-menopause, menopause and post-menopause. Natural sleep cycles run according to a delicate and complex balance of ingredients in just about every system of your body. Your body and mind are actually quite active during normal sleep cycles. When the female body begins to experience ups and downs in levels of progesterone and estrogen the entire body’s chemistry is thrown off. Physical responses occur that not only disrupt your daily life, but they disrupt sleep, as well, and can become chronic. To compound the issue, the more sleep you lose secondary to menopausal symptoms, the more pronounced insomnia symptoms become. Moodiness would become more intense, extreme fatigue is common. Peri-menopause can begin as much as 10 years prior to menopause, but for most women the most noticeable signs and symptoms don’t show themselves until 5 years before full menopause and it could be much less. The severity and length of a woman’s menopause can often be dictated to some extent by family history. During peri-menopause estrogen levels can go into decline, setting off occasional or isolated menopause-related symptoms like those above. For example you may experience an isolated hot flash or night sweat, or a menstrual cycle may be thrown off your normal cycle. These isolated instances can disturb your sleep and give you symptoms of temporary insomnia. Medically speaking you have finally reached menopause after 12 full months without a menstrual cycle. Leading up to this though menopausal symptoms can become much more frequent and intense for some women. Hot flashes, night sweats and anxiety WILL wake you in the night and disrupt sleep so much so that many women report chronic insomnia symptoms. Some doctors believe that women may develop insomnia –that it becomes a behavioral pattern ingrained from regular sleep interruptions over the course of their lifetimes—from PMS and pregnancy-related insomnia. Insomnia doesn’t end during post-menopause. In fact, insomnia can become symptomatic of more serious sleep disorders in a post-menopausal woman. Statistics prove that more women past menopause develop sleep disorders, including restless leg syndrome and sleep apnea, than at any other time in their lives. Another factor post-menopause becomes causes related to aging, as well. The elderly account for another group in which there is a high incidence of insomnia. Medications increase, social situations change and anxiety and depression can become marked. In many cases your doctor may choose to treat what he or she considers the primary source for insomnia—menopause. Hormone replacement therapy has shown to drastically relieve some symptoms of menopause, which in turn alleviate insomnia. But some women prefer to avoid hormone replacement or drugs and opt instead to try natural therapies. Of course menopause insomnia symptoms might also be improved through sleep hygiene and improvement in diet, exercise and other important daily routines.